The response to our summer school has been incredible. We have already received applications from many corners of the globe, with applicants from the US, the UK, Australia, Israel, Denmark, the Netherlands and of course Sweden. The deadline for applications: Friday, 18 March 2016. Participants will be notified no later than March 31. The summer school will be held at Skeppsholmens Folkhögskola overlooking the sea in the very center of Stockholm. You can find it on Google Maps. This entry was posted in Uncategorized on March 9, 2016 by Francis. This entry was posted in Uncategorized on February 17, 2016 by Francis. 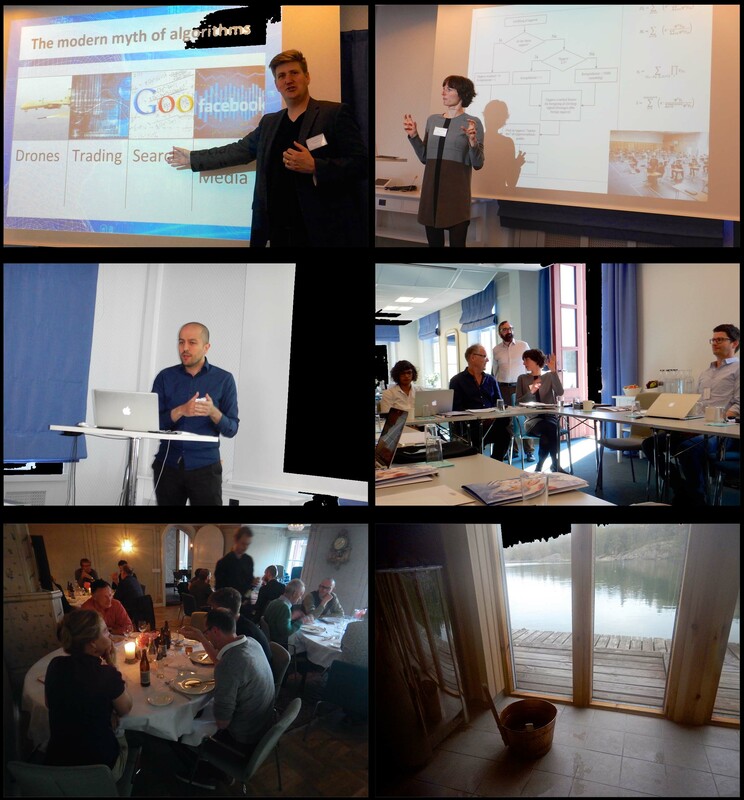 On May 10 to 12th 2015 the academic network Algorithms as Devices of Power and Valuation gathered 20 scholars from Sweden, Denmark, U.K., Holland, and the U.S. We worked intensely at the rim of the Stockholm archipelago with presentations on, discussions about and attempts to start theorizing on algorithms in society. This entry was posted in Uncategorized on June 23, 2015 by Francis.